Now that the month long frenzy of Fashion Week madness has subsided IMA turns its attention to an editorial featuring one of the Spring/Summer 2014 season's most illuminating faces. 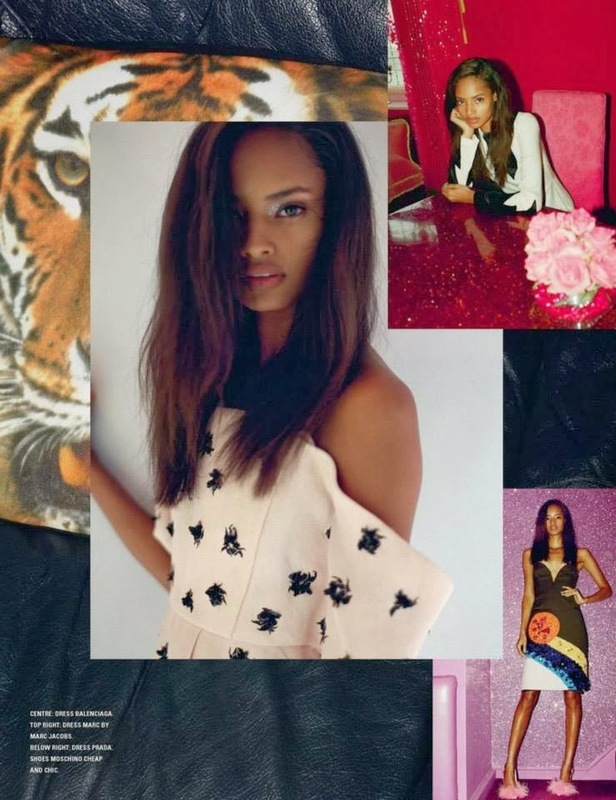 British newcomer Malaika Firth comes up for air in i-D Magazine's "Smile, happy looks good on you!" editorial captured by photographer Sean Thomas. 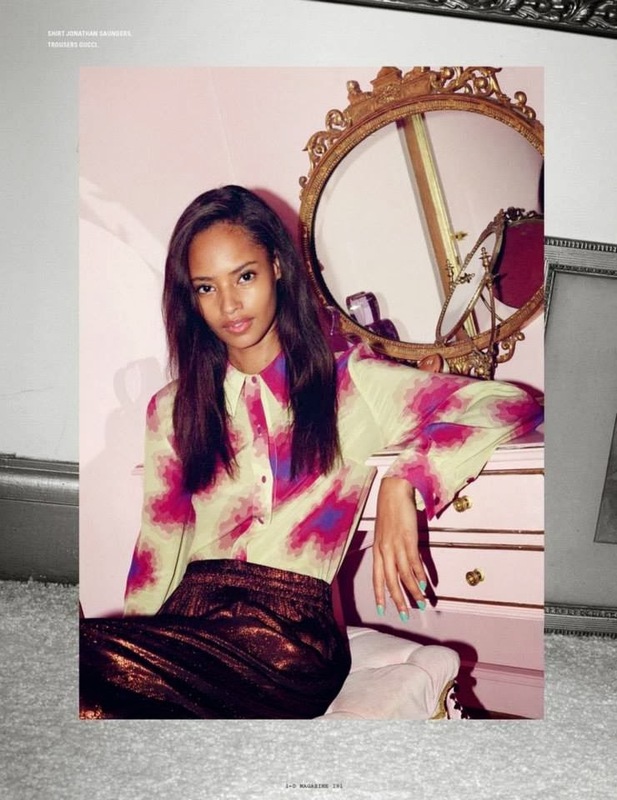 The Kenyan-born British raised newcomer is pretty as a picture styled by Julia Sarr Jamois in eclectic feminine pieces from the Spring/Summer 2014 collections of Saint Laurent, Prada, Céline, Moschino, and Balenciaga. The twenty year old bi-racial beauty has emerged as one of the industry's most consistently in demand new faces amassing a staggering 49 show tally at the recent Fall/Winter 2014 collections. Over the past year Firth has snagged blue chip campaign slots for Prada, Valentino, Burberry Prorsum, and Marc Jacobs Fragrance. Meanwhile editorial bookings for Interview, W, CR Fashion Book, Love, and the British, American, and French editions of Vogue all point towards Firth's undeniable crossover from runway newbie to bonafide "model of the moment" with true long-term prospects. Represented by New York Model Management and Premier Models, Firth is well on her way to becoming a household name following her sensational debut appearance at the Victoria's Secret Fashion Show.